The U.S. Department of Veterans Affairs named Rasu Shrestha, MD, chief innovation officer of University of Pittsburgh Medical Center, as leader of the agency’s open API pledge. Earlier this month at HIMSS18, VA Secretary David Shulkin, MD, announced the agency issued an RFP for an API gateway through its Lighthouse platform. Lighthouse leverages new analytic capabilities through the API gateway to integrate EHR data. The VA is looking to create a model EHR incidence with common data standards published in the public domain. The idea is to map the EHR to FHIR APIs. The pledge has already been coordinated with numerous major vendors, including Cerner. More than 11 providers, including UPMC, Intermountain Healthcare and Mayo Clinic, have also committed to the effort. 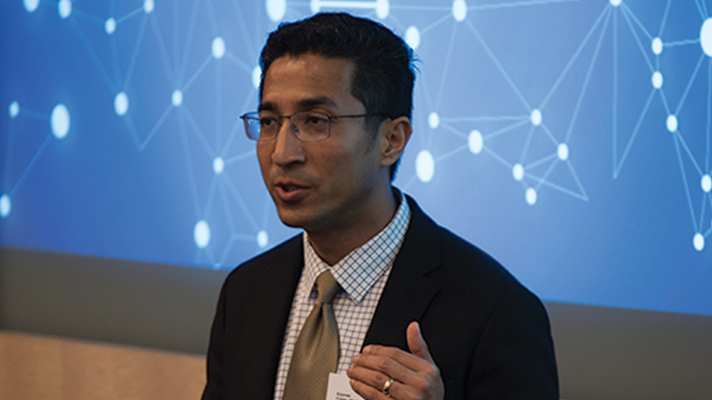 Shrestha will lead the initiative, which will encourage healthcare providers to commit to working with the VA to increase the speed of mapping health data to industry standards. The work will kick off with a roundtable discussion to be held in April, where the group will commit to working with the VA and standards community on API implementation guidelines. Participants will also work on testing draft specifications for scheduling, clinical notes, questionnaires and encounters, along with implementing access standards for veterans and clinicians.